This week you’ll learn why flood insurance just might be something you may need even if you don’t live near water. Don’t make it an afterthought. Not on a floodplain and not worried about your home getting damaged by flooding? That could be a costly mistake! Even a “low-risk” home could be hit with damage from flooding, and most standard homeowner’s insurance policies don’t include flood protection. 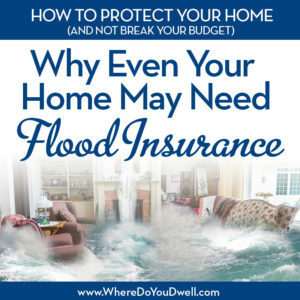 Take the time to learn what is and isn’t covered in your home’s insurance policy and whether adding additional flood insurance is a good idea even if your home is not considered to be in an official floodplain by FEMA (Federal Emergency Management Agency). The extra coverage could be well worth it. Our rundown of questions and answers below is a good starting point for you. But, remember, always consults with an insurance agent for more specific information. Why do I need separate flood protection? Flood damage is NOT part of your standard homeowner’s insurance policy! You need to purchase a separate flood insurance policy from either a private insurance company or through an agent who is partnered with the National Flood Insurance Program (NFIP). A policy will cover physical damage to your “building”; you can also get one to cover personal contents. There are some exceptions to both. Your policy rate will vary depending on your property’s flood risk, how much insurance you purchase, and what is covered. There is usually a 30-day waiting period from purchased date until you’re covered. You can buy a maximum coverage of $250,000 for buildings and up to $100,000 for contents. For those buildings worth more than $250,000, then you can increase your coverage to $750,000. The policy needs to be renewed every year. What is considered a flood and what is not? The definition of a “flood” is very specific when it comes to insurance. It’s considered a temporary condition with water or mud that affects normally dry land. To be considered a flood, the damage has to affect two or more properties, NOT just your property. If it’s only your property, then two or more acres of land need to be affected. On the flip side, a policy won’t cover a situation when it’s only your basement filling up with water after experiencing inundating rain. Even wind-driven rain through your roof or wall is not considered flood-related. That’s why you need to make sure your gutters are not clogged and your yard is properly draining since any damage like that is all on you. What can cause flood-related damage? Your home can be hit with flood damage from a hurricane with potential tidal and storm surges, rapid rainfall accumulation, overloaded drainage systems in the community that can’t handle water runoff, overflowing river banks (Potomac and Anacostia Rivers! ), and even from snow melting. Many regions across the country have had a fair share of weather-related flooding that’s been costly and damaging to local communities, businesses, and homeowners. With more urban development and less vegetation in many communities, water runoff can be very destructive. How is my policy rate determined? Rates for your home will not differ between agents or companies since they are set by the National Flood Insurance Program (NFIP). Several factors determine your specific rate: the age of your home; number of floors; how it was built; the elevation of your property and location of the lowest floor; and your flood risk (high, moderate, low). Your flood risk is determined by FEMA. A flood map shows your risk level within a community, which will determine the cost of your flood insurance. The lower the risk, the lower the flood insurance premium. Can I find out my home’s flood risk or flood zone? Yes, you can access FEMA flood maps and other local government information. FEMA can alter your risk level if certain factors change. A “flood risk” isn’t based on what has or hasn’t happened in the past. It is based on current factors such as rainfall, river-flow and tidal-surge data, topography, flood-control measures, and building development changes in the area. Is flood insurance ever mandatory? 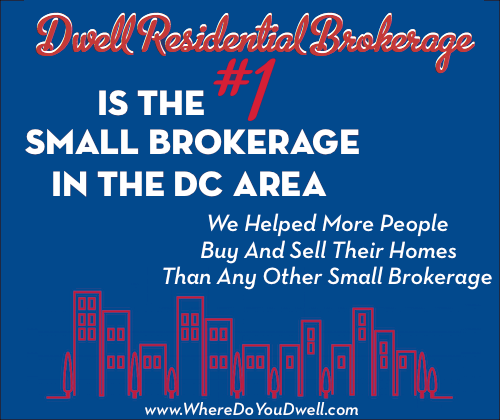 Yes, if you live in a high-risk area and have a mortgage through a federally insured or regulated lender. Your only option is a standard rate policy that offers separate building and personal contents coverage. If you’re in a high-risk area, lenders may require you to purchase a policy before they will give you a mortgage. What if I’m in a low- or moderate-risk area? You are not required to get insurance but it’s recommended. The NFIP says that almost 25% of claims come from low- or moderate-risk areas. You also might be eligible for Preferred Risk Policy premiums, which are the lowest premiums available through the NFIP. If you don’t qualify for that then you can get a standard rated policy. Should I get flood insurance if I own a condo? Yes. It’s a good idea to get building (your unit damage) and personal contents coverage. Your policy rate also will be based on the flood risk of your condo building. You could be eligible for the Preferred Risk Policy if you’re in a moderate- to low-risk area. What is typically covered with flood insurance? For your building coverage: actual structure and foundation; electrical and plumbing systems; central air conditioning; furnace; water heater; certain appliances – refrigerator, stovetop, dishwasher; permanently installed carpeting, paneling, bookcases and cabinets, and debris removal. For personal contents coverage: Clothing; furniture; electronics; curtains; carpeting; portable air conditioners, microwaves; clothing washers and dryers; freezers and food inside; and items such as artwork for up to $2,500. Limited Coverage: basements, crawl spaces, and any areas below the lowest elevated floor of your home. Property and belongings outside of the insured building such as trees, plants, septic systems, walkways, decks, patios, fences, hot tubs, and swimming pools. Money, currency, stock certificates, and precious metals. Any living expenses for temporary housing. Cars, motorcycles and “self-propelled” vehicles. Any damage that could have been avoided by the homeowner such as moisture, mildew and mold. Will the federal government help me out when there is a major flood? Government aid is only available when it’s been declared a federal disaster area. However, having flood insurance won’t prevent you from receiving aid. And, remember, government aid is a loan not outright compensation for damage. It’s still a good idea to have your own flood insurance policy so you’re always protected. For more information and how to find an agent to work with, check out FloodSmart.gov. Next week is our last installment of our How to Protect Your Home (And Not Break Your Budget) Series. You’ll learn why it’s important to budget now so you’re ready for any costly maintenance blunders. Plus how to avoid those homeowner mistakes!